Yes, these photos are real. And yes, this story is true – it’s no April Fool’s joke, promise. 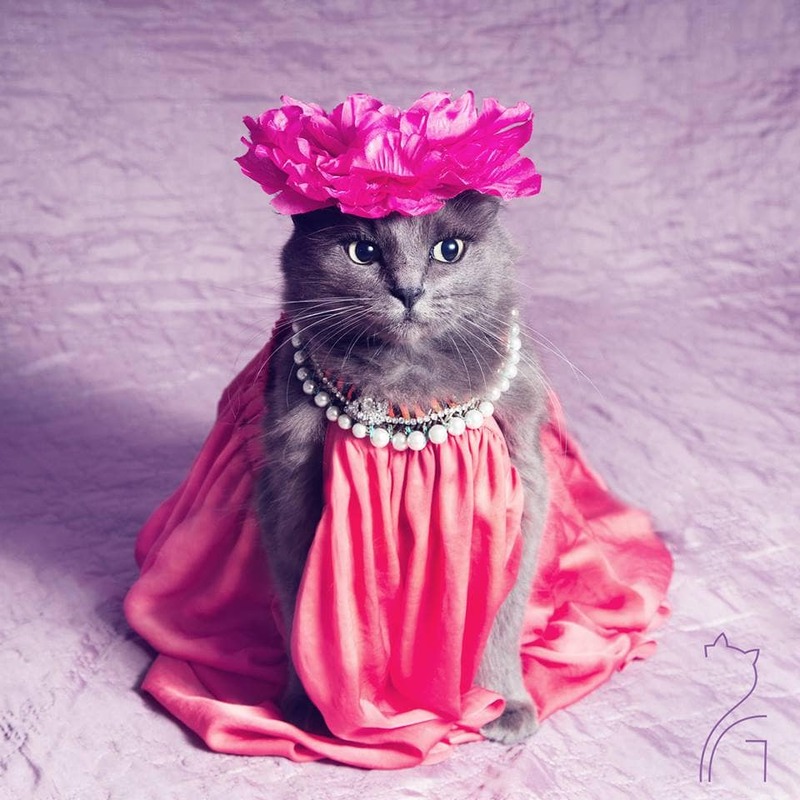 Pitzush might just be the most well-dressed cat out there, thanks to her owner, Roxana D. Roxana dresses Pitzush up and takes glamorous photos of the cat, poking fun at the fashion industry. 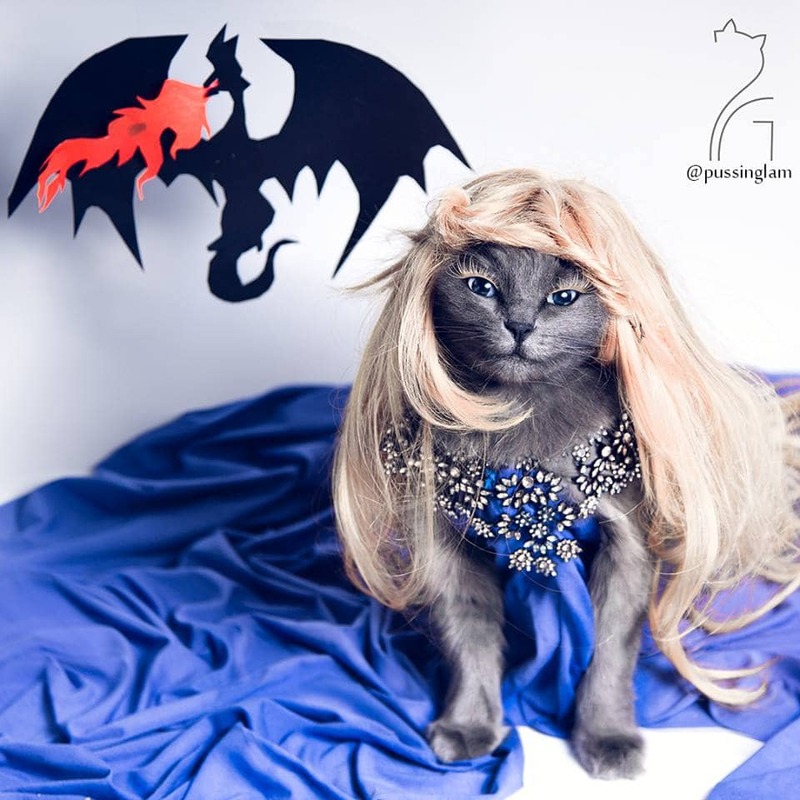 The photos are based on the heavily posed photos posted by celebrities and fashion bloggers, but having a cat in the photos makes for a fun twist and commentary. Roaxana posts Pitzush’s photos on her pussinglam Instagram page. Pitzush’s page currently has over 13,700 followers, and while many people find the photos entertaining, some have protested the fact that Pitzush appears to be wearing fake eyelashes in some of the photos. But don’t worry – the eyelashes are photoshopped, and Roxana has to work hard to capture the unique shots. While Pitzush allows herself to be dressed up, she has a short attention span so Roxana must work quickly to get the right shot. Pitzush didn’t always have such a glamorous life. In fact, Roxana rescued her as a kitten. Pitzush was a stray who was sick and had teeth that were rotting when Roxana took her in. Working with a vet, Roxana nursed Pitzush back to health and then tackled the issue of the kitten’s teeth – they needed to be removed. 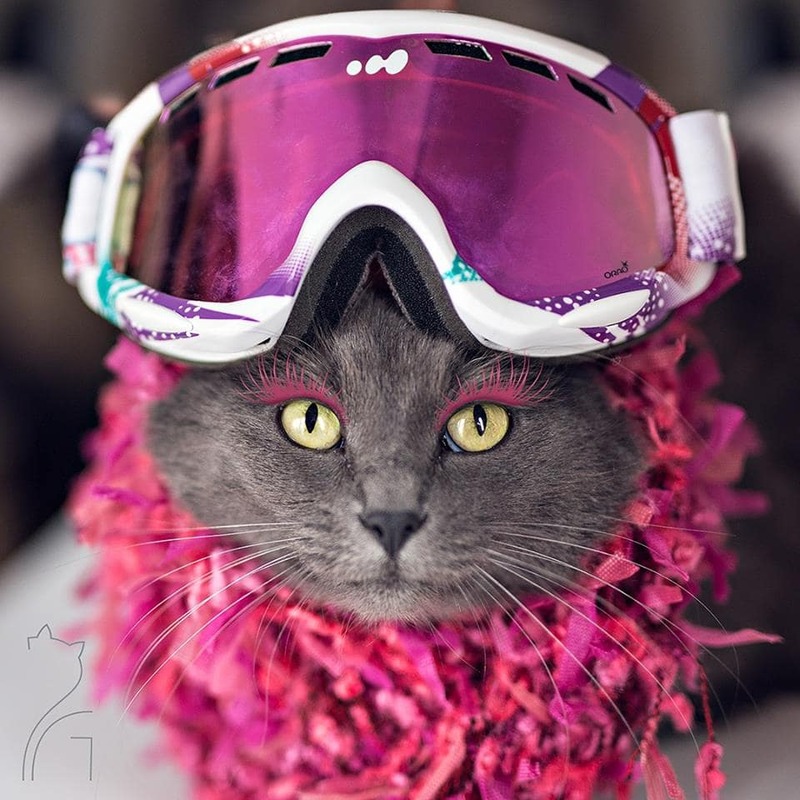 Roxana, a dentist, performed the procedure with the vet managing Pitzush’s anesthesia. Time and patience helped Pitzush to fully heal and to learn to trust Roxana. 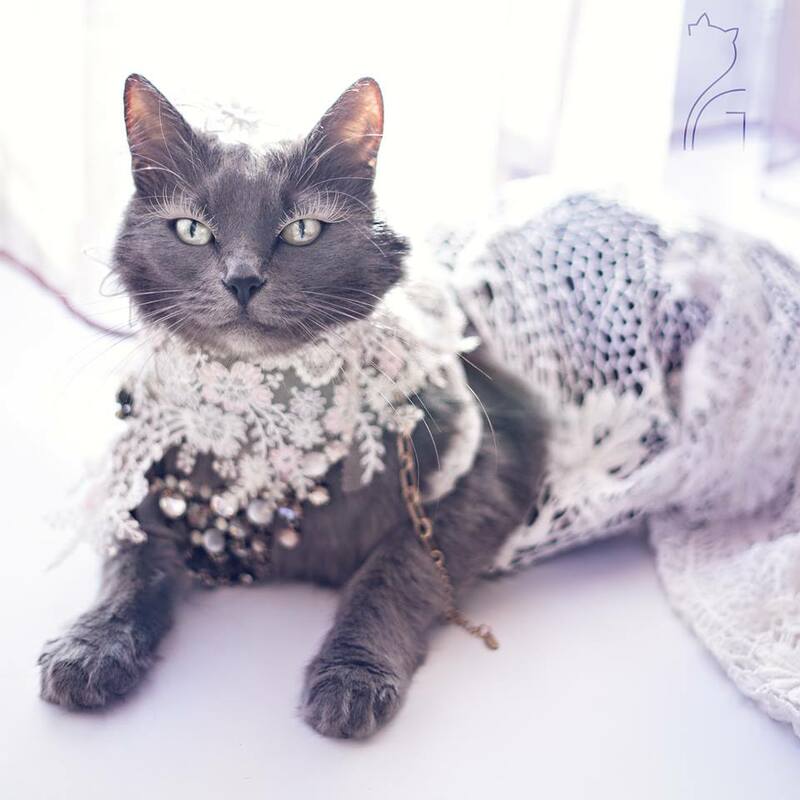 How things have changed for this glamorous cat since her days as a kitten. She continues to gain popularity on the internet, and who wouldn’t be jealous of the luxurious clothes that she gets to wear?